Ryon Arryn is a fairly tall man standing at six foot three inches. His hair is a light honey brown in color. The thick locks of hair reach down in a wavy layered style stopping just above his shoulders. The skin of his face is clean shaven and clear the fair skin is a shade of ivory. His is facial structure is handsome and sharply angled with high cheekbones and a pointed chin. Brown brows are set low over eyes of a dark mossy green that sparkle with intelligence. A pointed nose sits below those slightly slanted eyes and below it are a set of small and thin lips. A long slender neck leads down to a lean and graceful body. He is lightly muscled and possesses a grace to his movements that would put many a dancer to shame. Currently he wears a silk shirt of pure white with long form fitting sleeves. Over the shirt is a doublet of pale blue left open to reveal the crest of House Arryn that is embroidered upon the shirt underneath it. A pair of snug breeches of a light grey are worn over his lower half and the look is finished off by a pair of tall grey boots with the tops folded down. Ryon Arryn is the son of Eryon Arryn of the Great House Arryn of the Vale. Eryon is a first cousin of Jeyne Arryn the Ruler of the Vale. 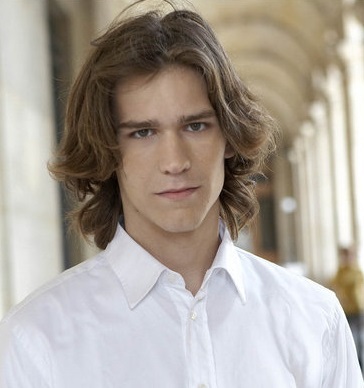 Ryon is the only son of his father and his Baratheon wife Seline and has three younger sisters. He was raised well and taught the principals of etiquette and ruling. He was a studious and charming child and he grew into a kind, clever and respectful young man. There were even rumors that he might one day be named Jeyne Arryn's heir. He was wealthy, honorable and kind of heart and yet he begged his father not to arrange a marriage for him. He wanted to marry for love or at least have the chance to try. And so his father made him a deal. If he would leave the Vale and take care of the family business in Oldtown he could have his chance to find someone he truly cared for to marry. Ryon agreed easily to this proposal and set off for the Reach to follow his fathers commands. (121-04-18) Oh, To Catch A Thief! Logs that refer to Ryon.